I am greatly looking forward next month to addressing the Kingsclere Village Club, for the second time (Thursday 15 December, 7.30). 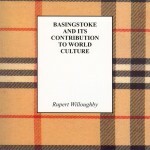 My talk will be entitled ‘Basingstoke and its Contribution to World Culture’. There is a synopsis on my ‘Lectures’ page. 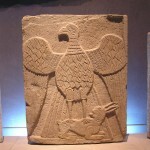 There are interesting historical links between the two towns. The rectory of Kingsclere was once held by Walter de Merton. Bishop of Rochester and Chancellor of England in the 1260s. Walter was a native of Basingstoke, born on the property later known as ‘Merton Farm’. 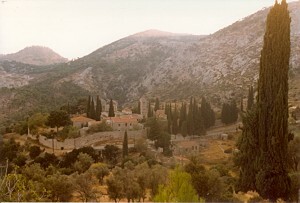 The site of the farm has been buried since the 1960s under the vast concrete ‘superstructure’ that blights the town. Specifically, ‘The Malls’, one of Britain’s least popular retail centres, looms above it. 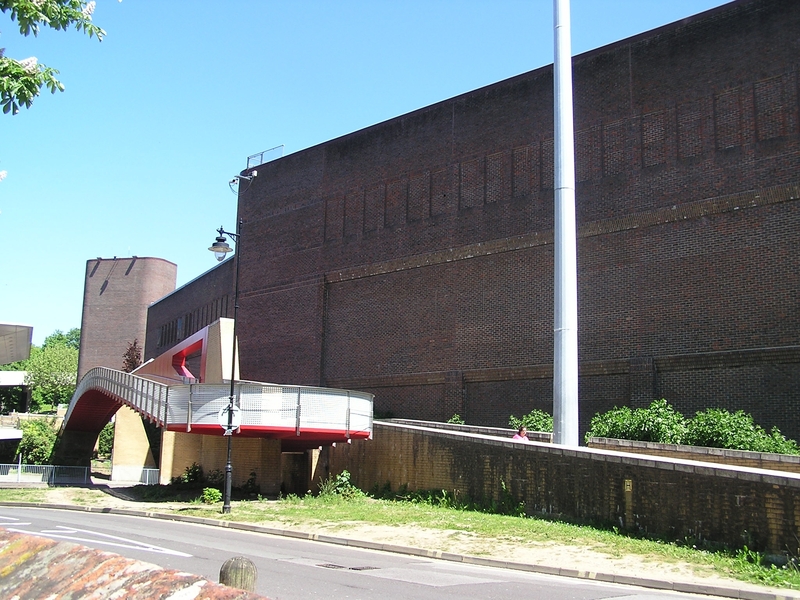 Merton Farmhouse was precisely situated beneath that unlovely feature, the ‘Great Wall of Basingstoke’, an ugly staircase (pictured above) marking the exact spot. It is regrettable – to say the least – that Walter should be barely remembered in his home town. 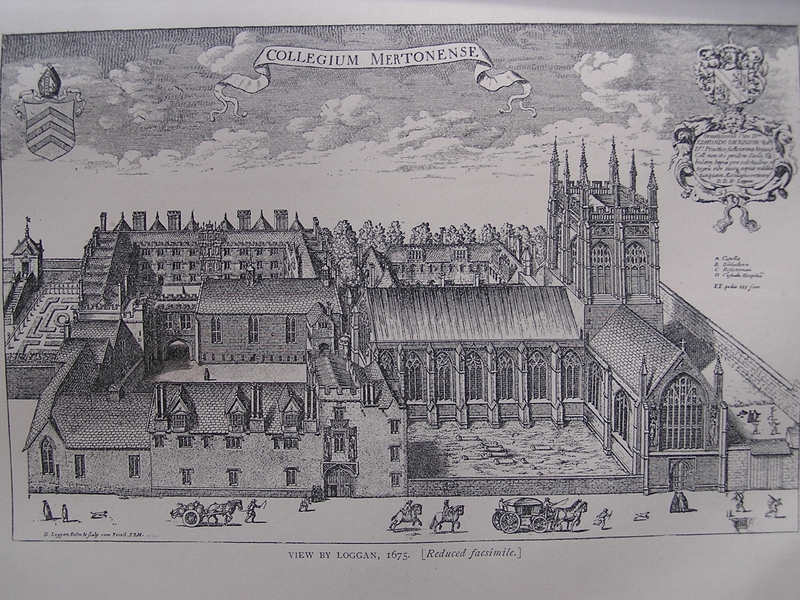 His great foundation, Merton College, Oxford (pictured left), was the first self-supporting and self-governing university college in England, the model for all that have followed. As for Kingsclere, Walter was a pluralist and probably had little to do with it, but others of his family were to forge a strong link. 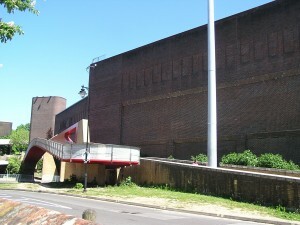 Walter’s maternal aunt, Margaret FitzOliver, married William Chasteyne de Kingsmill – the royal mill in Basingstoke, which had been granted to the family by King John. The ‘Chasteynes’ or Castons were well-known in Basingstoke until the 19th century. Their memory is preserved in Caston’s Yard. They also had an early connection with Kingsclere, owning, until 1322, a hall house next to the church. It was the forerunner of the present Falcon House, which, itself bent with age, is now one of Kingsclere’s most historic buildings. 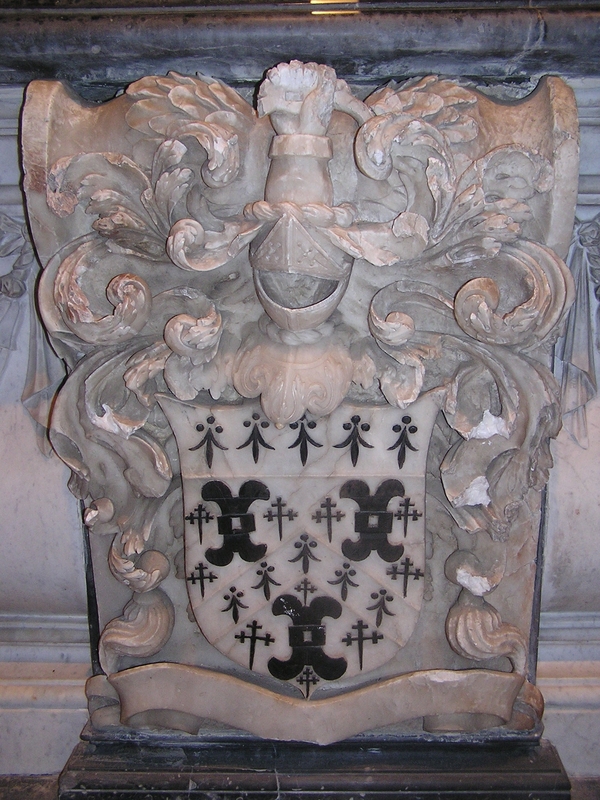 Furthermore, the descendants of William and Margaret Chasteyne de Kingsmill include the Kingsmills of Sydmonton, whose grand tombs (left) are in Kingsclere Church. These Kingsmills were rich merchants. As well as rebuilding Sydmonton Court in the reign of Elizabeth (for the future enjoyment of Lord Lloyd-Webber), they retained an impressive town-house in Winchester Street, Basingstoke. It was fit to receive Katharine of Aragon in 1501, on her way up to London for her first wedding. 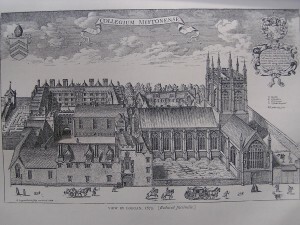 Sold out of the family after the Civil War, the Winchester Street house may have been converted (by 1671) into an inn, the ‘Maidenhead’. I have a theory that this historic building still exists, albeit heavily disguised under later accretions. If my identification is correct, it today houses a betting agency, a charity shop and a laundry: for further details, refer to my ‘News’ page. Its survival would more than compensate for the loss of Merton Farm. 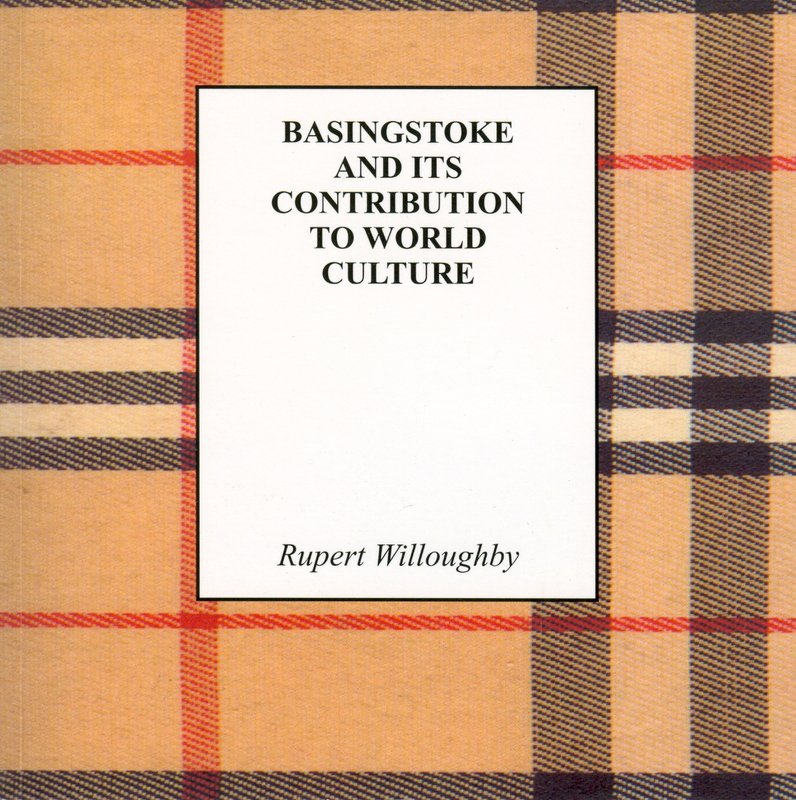 I shan’t mind at all if members of my Kingsclere audience want to invest in my latest book, Basingstoke and its Contribution to World Culture, on which the talk is based. It is designed to be the perfect stocking-filler, so I shall bring some copies just in case. For details, please refer to my ‘Books’ page. 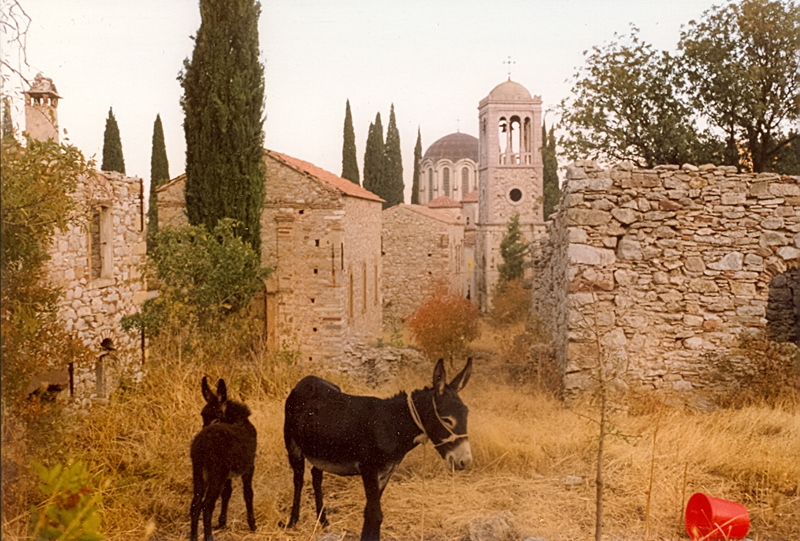 Further to my last blog, the Nea Mone, Chios, was not quite deserted when I visited it on Thursday 10 October 1991, as I was reminded on re-reading my diary of the journey. We ‘went on to Anavatos, a desolate, haunted place, inhospitable enough even when inhabited’. 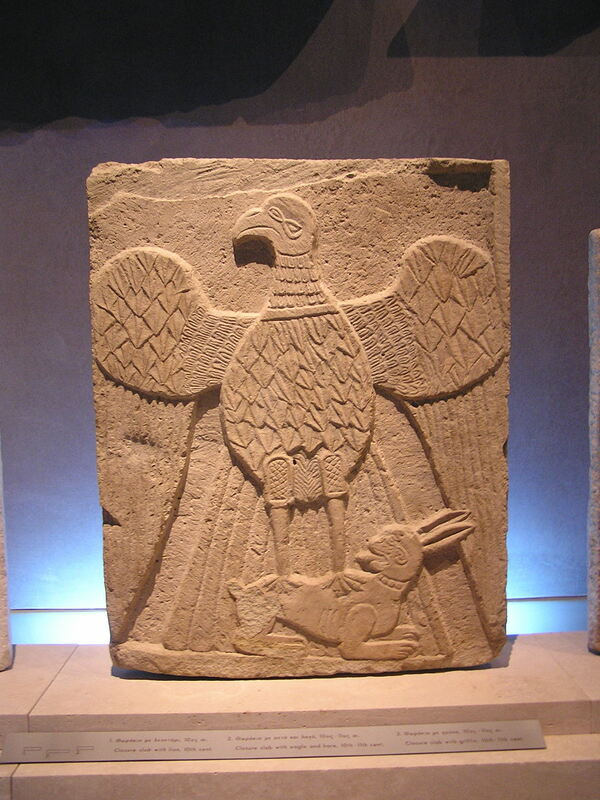 It is strange that my strongest memory of this day should be of seeing the Emperor Monomachos’s prayer book, and that, of all details, I should have omitted to mention this in my diary.